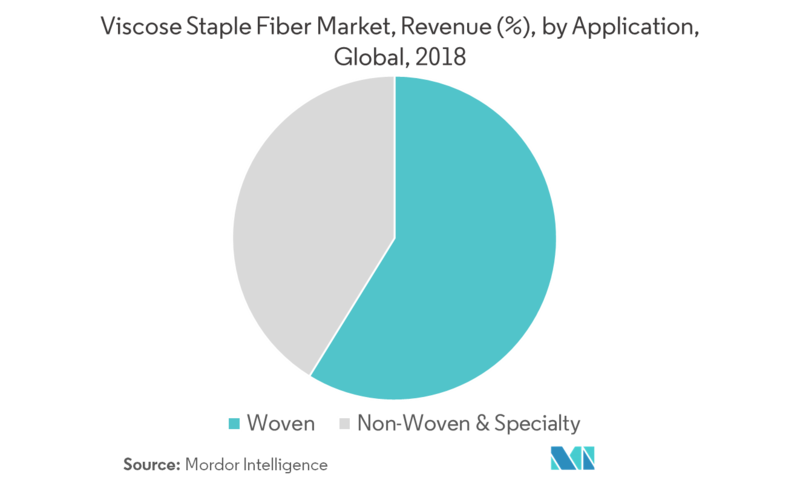 The global viscose staple fiber market is likely to register healthy growth, at an estimated CAGR of 5.79% over the forecast period, 2019 to 2024. One of the major factors driving the growth of the market studied is the growing demand for apparels and clothing. The rising demand from textile & apparel, non-woven, and specialty manufacturing sectors have also hugely attributed to the growth of the market. In 2017, the woven segment dominated the market share with around 80% share in the global market. Asia-Pacific region dominated the market and accounted for a share of 65% in 2017, and is also estimated to record the fastest CAGR of 5.79% during the forecast period. Viscose staple fibers (VSF) or artificial cotton fibers are natural and biodegradable. These fibers are obtained from wood pulp and cotton pulp, which share the characteristics of cotton fibers. These are versatile and easily bendable fibers and have a wide range of application in apparels, home textiles, home furnishings, dress materials, and woven & knitwear. Increasing demand for textiles and apparels is expected to drive the demand for VSF in these applications. Asia-Pacific, the largest market for woven fabrics, is witnessing a healthy growth due to the increasing demand in countries, like India, China, etc. In India, the demand for apparels has increased with growing consumer preference, in response to growing foreign textile brands. The demand has been augmented by digitalization, social networking sites, and apps, which help in increasing the sale of garments. Some apparel manufacturers in India state that the growth rate in menswear brands is at 7-10%, while the growth rate of women and kids apparel is around 15-20%. Also, the growing number of working women has increased the demand for women apparel. Small regions, such as Bangladesh, has witnessed an increase in population and living standards, driving the demand for knitted fabrics. All the aforementioned factors, in turn, increase the demand for the viscose staple fiber during the forecast period. Asia-pacific is expected to dominate the VSF market during the forecast period. 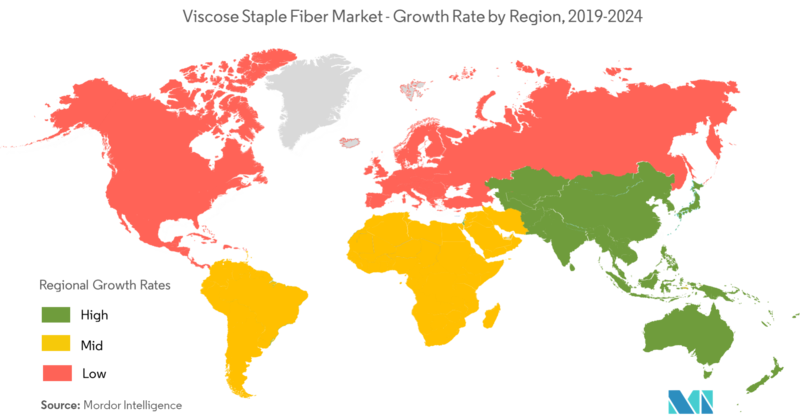 China is the largest producer and consumer of viscose staple fiber, globally. The country accounts for ~65% of the total globally produced viscose staple fiber owing to the rapidly increasing yarn production. China is the largest clothing producer in the world, and has the largest production capacity for textile products consisting of cotton, manmade fibers, and silk. The major problem faced by the Chinese viscose staple fiber industry is the presence of the surplus production capacities. Additionally, there has been an increase in wages in the country due to which the textile production is expected to shift to low-wage ASEAN countries, ultimately affecting the sales of viscose staple fiber in China. 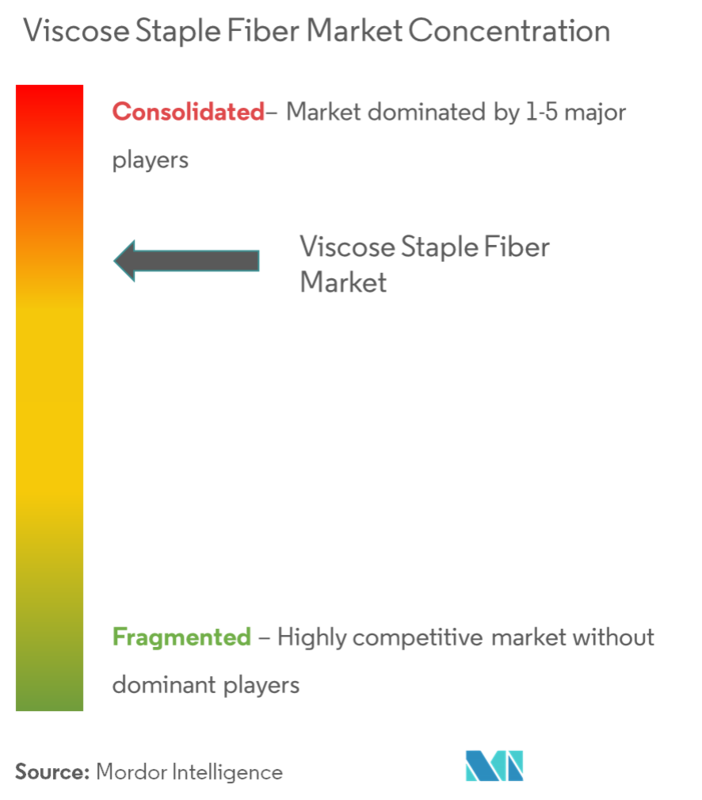 Due to all these factors, the market for viscose staple fiber is expected to increase in the region during the forecast period. 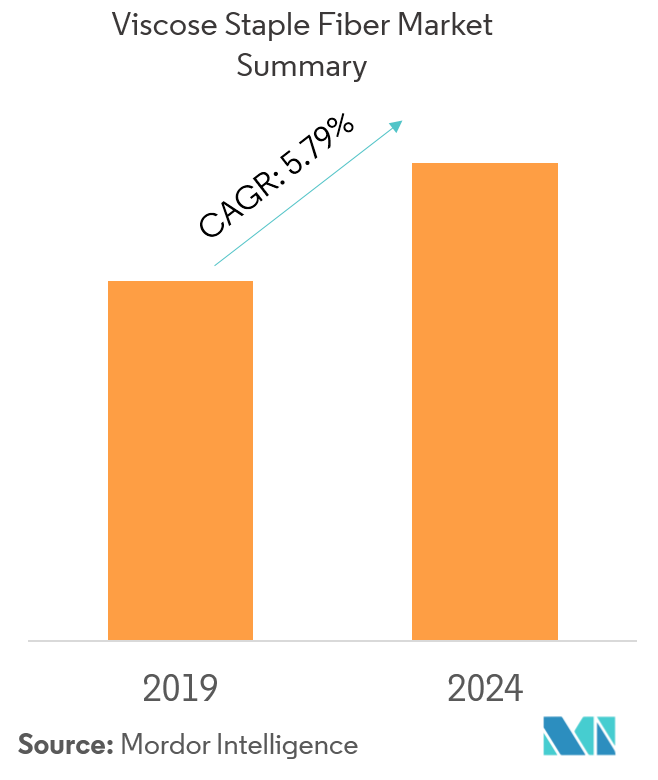 The global VSF market is fragmented in nature and top 5 manufacturers occupy around 30% of the market. Major players in the market include Lenzing AG, Aditya Birla Group, SATERI, XINJIANG ZHONGTAI CHEMICAL CO., LTD., and Tangshan Sanyou Group Xingda Chemical Fibre Co.Ltd, among others.